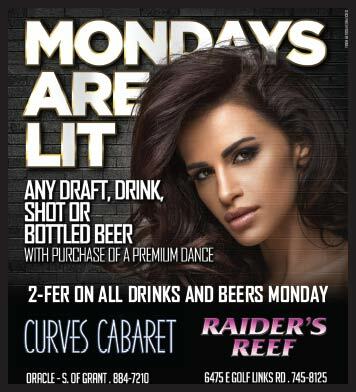 Get a Premium Dance and get a drink on us: Any draft, drink, shot or bottled beer. We treat you right! Plus, yes there is more, get 2-fer on all drinks and beers on Mondays!